Eagles Super Bowl 52 Champions Silver Football | Sports Memorabilia! 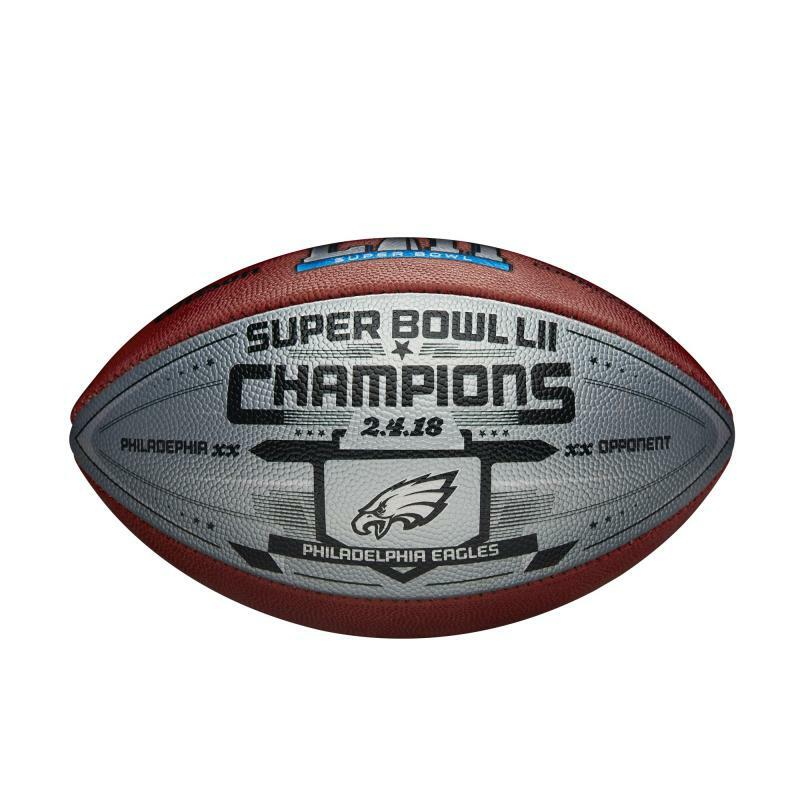 Celebrate the Eagles' FIRST Super Bowl win with this ULTIMATE collectible to have - The Philadelphia Eagles Super Bowl 52 Champions Football! Made by Wilson Sporting Goods this football is actually a special decorated Super Bowl LII Game Model Football - the same model as used in the Super Bowl 52 game. This football is made of full grain real leather and has the Super Bowl LII logo. The football is painted in silver with stars, and has the Eagles logo, the two team names (Patriots and Eagles) with the score (not yet pictured on the sample picture) and the date 2-4-18 imprinted on the panel. The Eagles Super Bowl 52 Champions Football is only produced for a short period of time so the production is limited. The Eagles won their first Super Bowl against the Patriots with a score of 41-33. Nick Foles was MVP. These footballs are no longer produced due to limited production.